I know, I know. 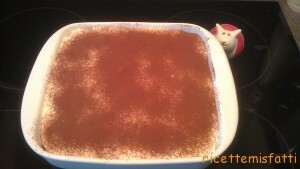 This is one of the most common desserts in Italy and probably one most people will know how to make over there BUT, let us not forget, I am also blogging for my English speaking friends and they might not know what an easy and delicious dessert this is. Despite its credentials , for some bizarre reasons, I hadn’t made one for yonks! Funny how sometimes you stop making something, forget all about it, only to “rediscover” it a long time afterwards. 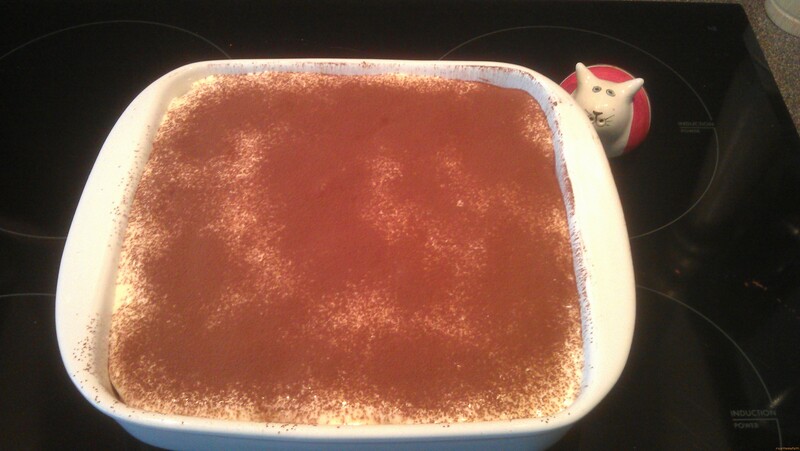 Last time I made tiramisu (which, incidentally, means “pick me up” in Italian) must have been well before I started this blog so we are going back quite a few years. Anyway, I decided the time had come to resurrect it, much to the delight of my husband who is particularly partial to it. The reason for this nostalgia was I spotted REAL savoiardi in Sainsbury’s in their Taste the difference range. These are Italian sponge fingers and are one of the main ingredients of tiramisu (the other ones being eggs, mascarpone cheese, coffee and sugar). 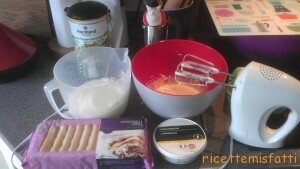 I’ve actually blogged home made savoiardi not so long ago. Anyway, this is a simple dessert to make, guaranteed to impress your family and friends. And by the way it can be easily made in advance. In fact it tastes even better the day after you have made it! Wha are you waiting for? Seaparate the eggs. Mix the egg yolks with the sugar and add the mascarpone. Combine well. Whisk the egg whites until stiff and gently combine it with the mascarpone mixture. 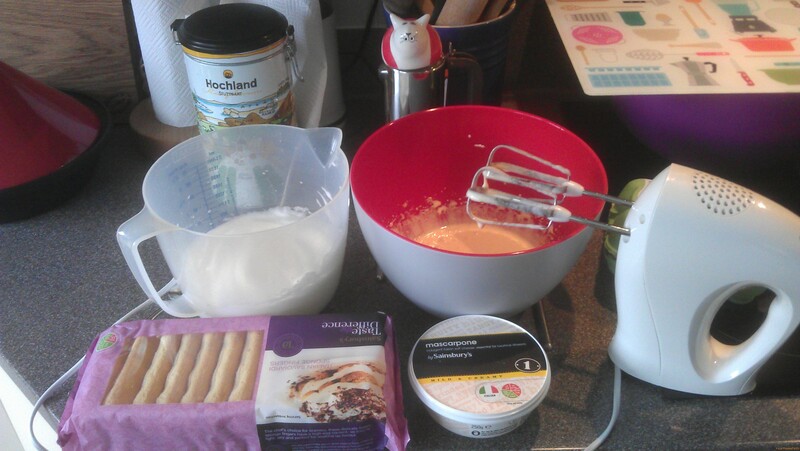 Dip half of the biscuits into the espresso and brandy mixture, then layer the bottom of a dish. Spoon half of the mascarpone mixture on top. Make another layer of sponge fingers (repeat the soaking and layering individually as you go or the biscuits will become too soggy to handle) and finish off with the remaining mascarpone mixture. Sprinkle liberally with cocoa powder and put it in the fridge for at least three hours before serving. Longer if possible. Oh! Pick me up baby! I need it! and that i coulpd suppose you are an expert in this subject.